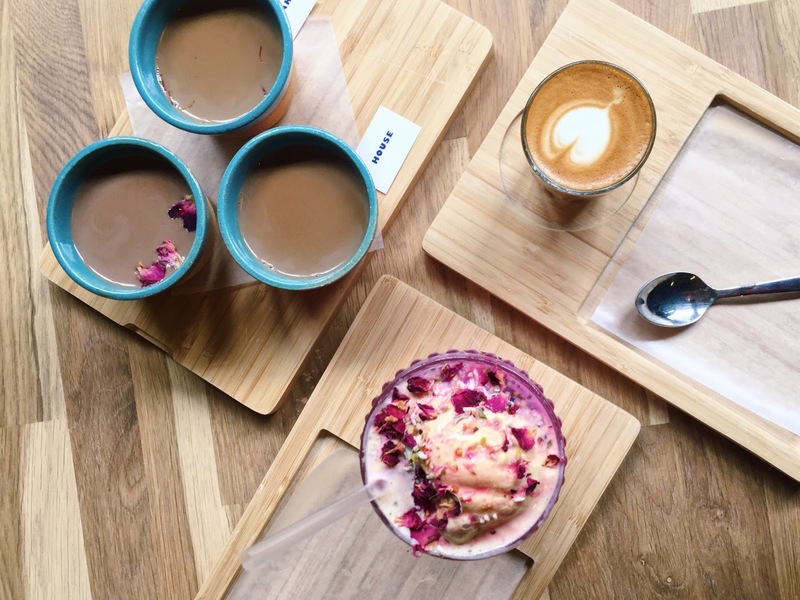 On a sunny afternoon in London, I decided to check out a new Chai/coffee joint and I am glad I did. I am a food lover and I like quality food but at times, I need a combination of nice ambiance, great service, and quality food. Glad to say PAMBAN checked off all the things on my list and secured a place as one of my go to cafes in London. 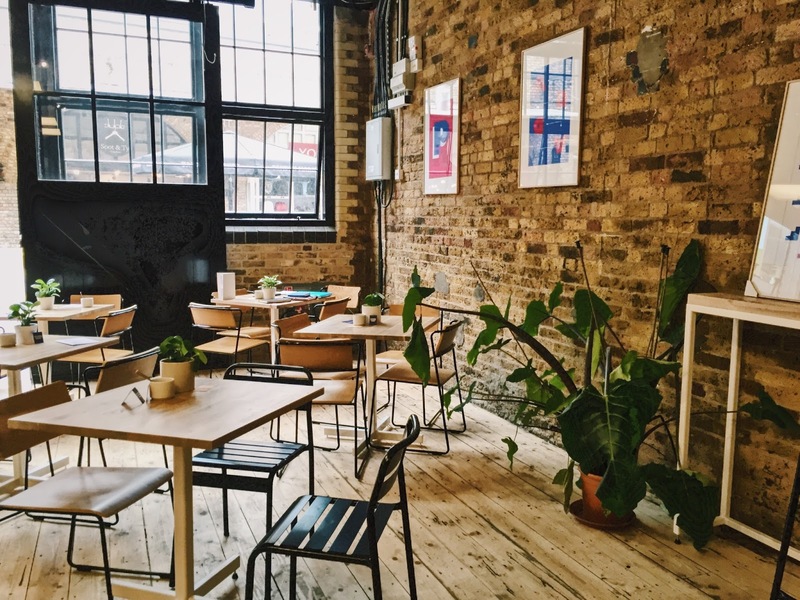 PAMBAN is a 5-week old cafe located in Camden market. As I entered the cafe, I got a really nice vibe and the seating arrangement was pleasing to the eyes as well. It would be a perfect place to take a break from your office cubicle and complete some work while drinking a lovely cup of chai or coffee. I know I would love to take my Art book, create and spend 2-3 hours just getting inspired by different chai flavors. What I loved most about the vision of PAMBAN is that most places have great, quality coffee but their chai is just okay and some chai joints have great chai options but coffee doesn't reflect the same level of quality. What's great about this cafe is this that they take both of the things hand in hand. House: I see this flavor being a favorite to many. It had a familiar, calm taste that chai lovers would totally dig.Rose: I loved the infusion of different spices with Rose for this flavor. It had a refreshing, strong flavor to it.And last but not the least, Saffron: This chai smelled so fantastic that I almost felt bad for drinking it. I just wanted to sit there and admire it (stop being so extra man). Taste wise it had a nice, sweet flavor which I loved and that contributed towards making the Saffron flavor Chai my favorite out of all three of them. Next, I tried the exceptional Falooda. This was one of those foods that not only tasted good but looked so on point. 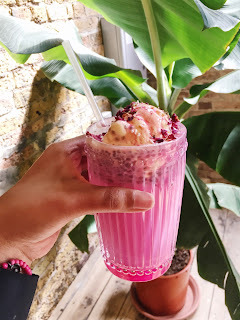 The thing with Falooda is that if too sweet, it's kind of ruined for me and if the milk consistency is off same thing. To me, this Falooda was 10/10 as it just carried the flavors of all the ingredients quite nicely. Lastly, I had a shot of their organic coffee. Now, I am a coffee person and I actually appreciate a good coffee, this was just it. I stopped by PAMBAN after my monthly photo walk and that espresso shot just did the trick for me because coffee is my go-to drink. 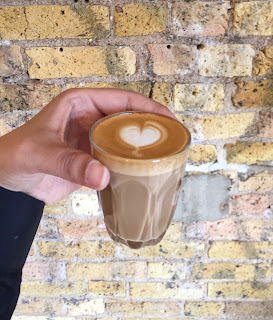 I had a chat with Aruna, the founder of PAMBAN and this is what he had to say," For the first time, Tea and Coffee sit side by side with equal importance at London's only Chai & Coffee House. We created Pamban for various reasons, to showcase Indian and Sri Lankan inspired food and to add a punch of flavor and exotic to the cafe scene. Showcasing the complexity of tea alongside specialty organic coffee, in a western setting with an asian twist. Our menu has been created not only to be familiar but also to leave you surprised - resulting in a great experience both in your mind and on your taste buds!" 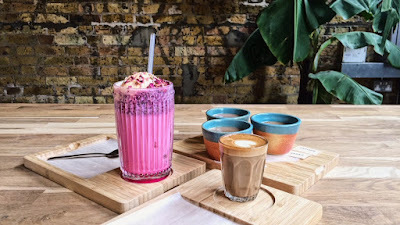 While I was tasting my delicious drinks, what I liked was the staff laughing and having fun while working. That gave me a home like feeling. I don't see that in a lot of cafes and I believe it created a nice, easy and relaxed atmosphere for the staff and the customers. I will be going back to PAMBAN in the coming week. I have already tried some of the drink on the menu but this time I will be going for the Sri Lankan Lamprais. I would've had it that day but I was so full because of my Chai cups, Falooda, and coffee that was my Lunch. Do check it out and send me your reviews of if you agree with me or not.